Gazprom will remain the main player in the gas market in Europe for the foreseeable future, Andrzej Szczesniak, an energy security analyst, told Sputnik Poland, adding that Nord Stream 2 helps Germany become the major hub for Russia's cheap pipeline gas in Europe. 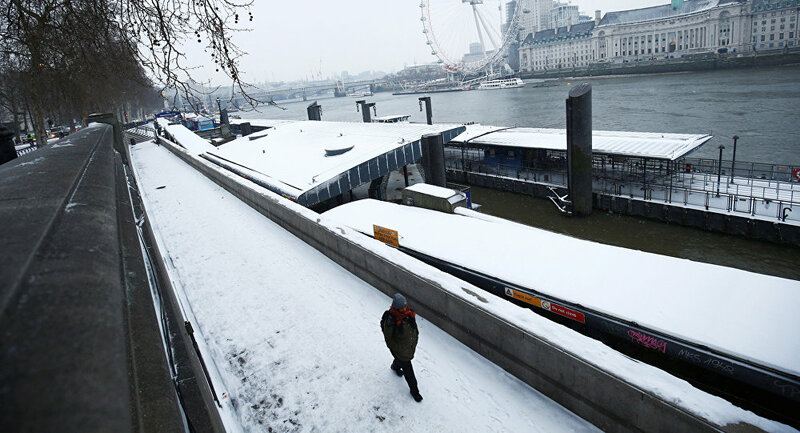 ​In late February a storm moving from Siberia brought unusually cold weather to Europe, was dubbed the "Beast from the East" by Twitter users. Under these circumstances, Gazprom's energy supplies to the EU have soared dramatically. ​"The European Union, including Poland, is facing a very difficult situation, having turned away from coal to renewable sources of energy, such as windmills and solar panels," Szczesniak said. "However, they cannot solve the current problem. Therefore, Gazprom has come to the aid of the people of European countries with its huge reserves of natural gas." According to the analyst, "the more connections are established between the structures of the EU and Gazprom — let's keep in mind the Yamal and 'Brotherhood' gas pipelines — the more confident Europe will feel in terms of energy security." "As for other gas producers, for instance, Norway or Algeria, they are obviously losing to Gazprom," the energy security specialist opined. "If some country in Europe decided to buy liquefied [natural] gas (LNG) for its civilians, then, it would have to wait at least two weeks for the delivery after making the order! And Gazprom is the important player that is reacting quickly; it has its own trump cards, like Saudi Arabia has in the oil market." Given all of the above, it's quite logical that the EU flagship, Germany, has signaled its support to Nord Stream 2 project. However, some Central and Eastern European states (CEE), namely, Poland, Ukraine and the Baltic states vehemently oppose the joint project run by Russia's Gazprom with France's Engie, Austria's OMV AG, Anglo-Dutch Royal Dutch Shell, and Germany's Uniper and Wintershall. On January 29, Polish Prime Minister Mateusz Morawiecki called upon the United States to impose sanctions on Nord Stream 2. "We want the construction of the Nord Stream 2 pipeline to fall under the US sanctions bill…which includes, among others, sanctions against Russia," Morawiecki told the Polish newspaper Dziennik Gazeta Prawna (DGP), as cited by Reuters. The question then arises whether the disruption of the Russia-led project really is in the economic interests of Poland and other CEE states. According to Szczesniak, the tension simmering around the Russian pipeline is more about geopolitics than economy. The first and the second Nord Stream projects have to do with both politics and business interests, he stressed. "History is usually repeating itself," the analyst noted. "In the unfolding geopolitical situation the US is the main player that does not want Russia and Europe maintaining good relations. It exercised this approach in the times of President [Ronald] Reagan and we witness a similar situation now. The US believes that the good relationship between the EU and Russia (and earlier with the Soviet Union) could become a threat to America's position on the Old Continent." Szczesniak pointed out that Warsaw sees the establishment of closer ties with the US as an imperative: "In the 1990s Poland mostly relied not on protecting its own interests in business and economy, but on bolstering its political alliance with the United States. In contrast, Germany is seeking to protect their business interests in the first place, the analyst highlighted. ["The Germans] want their country become the main distributor of cheap Russian gas throughout Europe once the Nord Stream-2 gas pipeline is built," Szczesniak stressed. "Germany's position is very strong. That is why the Germans are so energetically pushing the EU structures [to adopt] a more friendly attitude to this venture, regardless of the United States' displeasure." To tip the balance in its favor, Warsaw is currently promoting its own Baltic Pipe project, presenting it as an alternative to Nord Stream 2. In June 2017, Warsaw and Copenhagen inked a memorandum on joint implementation of the project aimed at "significantly" improving the EU's energy security. The project envisages transporting gas from fields in Norway to the Danish and Polish markets, as well as to customers in neighboring countries. Still, although the Polish pipeline is reported to be put into operation in 2022, when Warsaw's contract with Russia's Gazprom expires, Brussels has recently cut its investment in the Polish-Danish initiative more than tenfold. According to observers, the EU does not regard Warsaw's project as promising, while the implementation of Nord Stream 2 is likely to put an end to the venture. 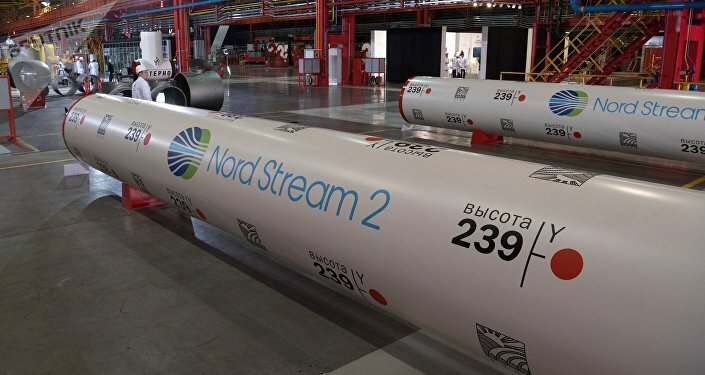 Nord Stream 2 is a multi-national initiative which was kicked-stared in 2015. In April 2017, Nord Stream 2 AG inked the financing deal with Engie, OMV, Royal Dutch Shell, Uniper, and Wintershall. The project aims to deliver 55 billion cubic meters of Russian gas annually to the European Union, through a pipeline across the Baltic Sea to Germany. The views and opinions expressed by Andrzej Szczesniak are those of the analyst and do not necessarily reflect those of Sputnik.